Breathing new life into a tried and true recipe is a simple way of adding variety to your diet. Take deviled eggs, for example. They’ve been around as long as any of us can probably remember, although you don’t see them at parties as often as you once did. It’s not because deviled eggs aren’t good, it’s just that they’re not that exciting anymore. 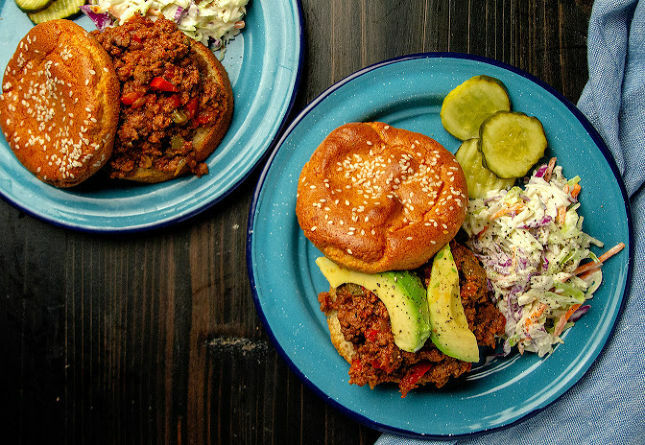 You might, however, start seeing them served more often again if enough people see the recipe for Fat Guacamole Devils Tamara Baysinger entered in our Primal Blueprint Cookbook Challenge. Holy guacamole! This sounds outrageously tasty! Hey there! 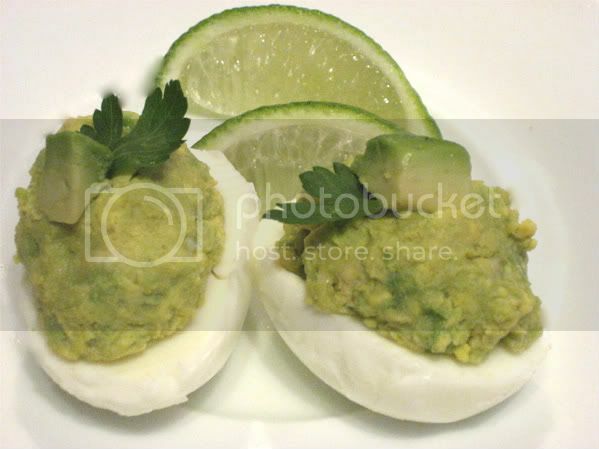 I just want to say that I love your blog/site, and have never commented before, but I never thought another person used this recipe but me:) eggs and avocados are a few of my favorite foods, and they just go great together! 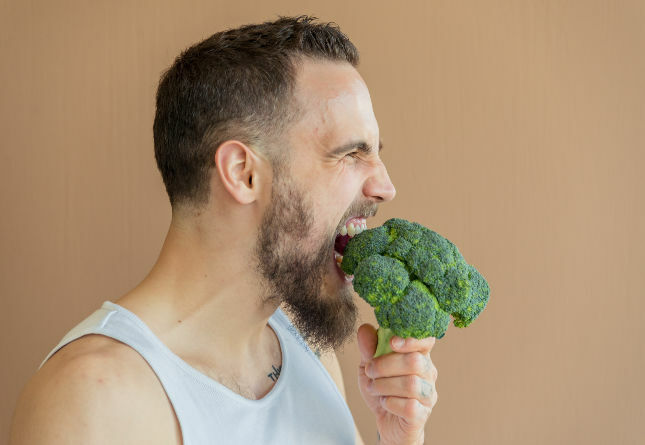 I’ve been slowly transitioning my diet to a more primal one the past year or so, and you’ve helped a lot. I love waking up in the morning and reading something new each day. So, thank you Mark for having your awesome site for everyone to learn and share ideas. I love cooking primal! That looks AMAZING! I’ve been trying to think of new ways to take eggs for breakfast during the work week (I go to work super early and need something I can bring with me). This looks wonderful!! Oh very yummy. I forgot I bought some Avocados last week. Thanks for the reminder. I think I might make 1/2 dozen of these tonight! They taste as good as they look. I made them. Ummm…I want to eat these NOW! When I first began my primal journey (trek? epic quest?) I made something like this. I just made regular guacamole with onions and tomatoes and stuffed that in the egg whites. I like the idea of putting the yolks back in with the avocado. I think I just popped them in my mouth when I made them before. yeah, those were yummy Caveman Sam. Replace avocado with coconut oil/butter. Whoa! Dude… Thanks for posting this!! There is nothing about this Primal Snack that isn’t awesome. I will have to make some of these bad boys tonight! 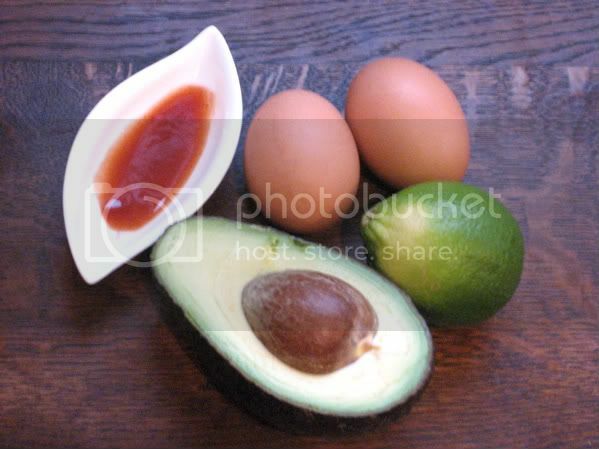 Avocados and fried eggs for breakfast with a touch of hot sauce. Been on my list of favs for the last 6 or 7 months. Love the idea of the deviled eggs. I am happy to say that today I purchased a couple of avocados and have some lovely eggs in the frig. OMG!!! That is genius!!!! Thxs! Oh guacamole eggs, where have you been all my life? My god they look delicious. I absolutely love Avocados. They’r easily one of my favourite foods. Great post! These are definitely in our future. My wife and I are hosting dinner tonight for two old friends of ours, and we have a 5-pound Mary’s Free-range Duck, chard greens with bacon, a butternut squash to make a delicious hot soup, and 2 bottles of Carmel Road Pinot Noir. We were trying to think of what we can make for an appetizer, and then I read this post and the question to the meaning of life has been answered! These need to be served with some ham. OMG those look amazing i never would have thought of that! Looks great. I will be trying this one soon. I often eat deviled eggs. My wife loves them and it’s quick if I’m in a hurry to leave. I have been recently just using mayo, dijon mustard and adding hemp seeds for a nice crunch. I’m going to have to try those! Just made these little devils. They’re awesome – I added a little red onion, too. guacamole, hot sauce, and eggs! that’s music to my primal texan ears. guacamole and hot sauce are like water and oxygen in the south. i can’t wait to try these bad boys tomorrow. Made these yesterday. Fast, easy, awesome. Two of my favorite foods in an easy snack form. What more could you want? I’ll be trying these tonight! Wow…two of my favorite appetizers. It was staring me in the face all along. Definitely making a batch for the Super Bowl! We always add curry powder (Madras is the best!) 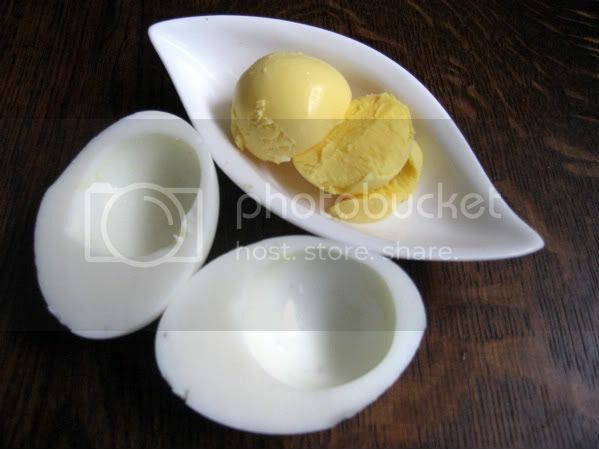 to our deviled eggs. Alot of curry! Yum! Mark, I thought I saw a comment you made concerning Tourette’s Syndrome and lesions on the CNS. I have suffered from TS (and ADHD and depression) since I was 1 year old. Do you have more information about TS? I’ve never seen anything online about a TS/CNS/lesions? Thanks. 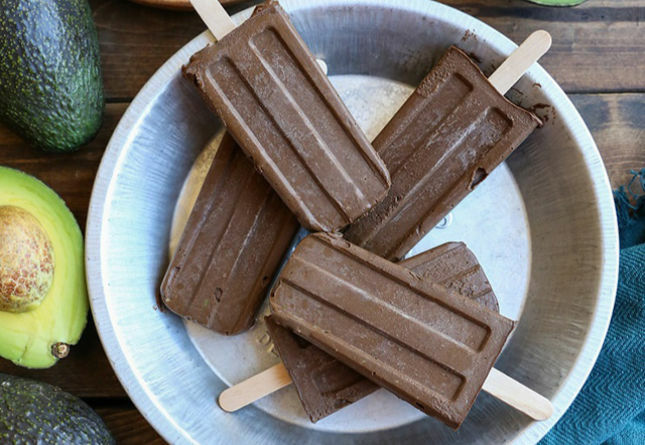 These look like the perfect snack; can’t wait to try them. Thanks! Wow… very well done. I wasn’t looking for a new way to eat eggs, but any new way to add guacamole to a meal is a good one. Yup, it does cry out for a side of ham to go with it. 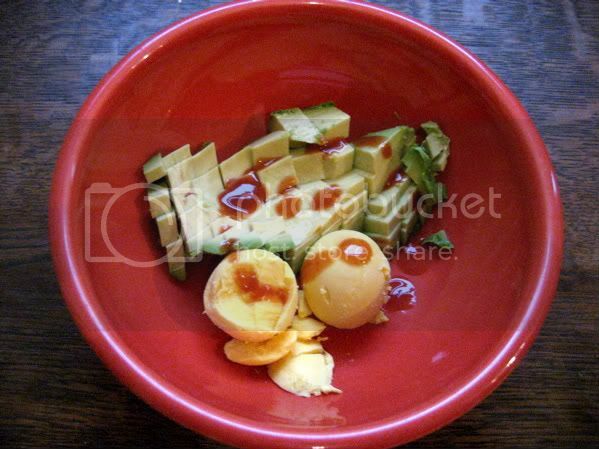 But, seriously, what a perfect idea~ combining two of the best foods, eggs & avocado. I can’t wait to make it. Wow! These will be my addition to the superbowl party! OMG, that’s fabulous! My husband is a huge fan of deviled eggs, so these and some ham or bacon will find their way on to our Super Bowl menu. Genius! I will try them at lunch. Wow! Tried these tonight and all I have to say is YUM! I am just starting my foray into the Primal way of life, and this was my first official jump in that direction. I am also making a meatloaf (although I am stuffing it in green bell peppers) that I found on the site for dinner tonight. So far, so good! im in the process of boiling my eggs as we speak! Yummy, looks good! A recipe with a good dose of healthy fats from avocado and choline from egg yolks. I absolutely love the recipes on your site! Whenever I need a bit of food variety I know I can count on Mark’s Daily Apple. I added a pinch of cayenne pepper powder to give it slow and lasting kick. Applying lime on top in the end helps keep it from turning brown sooner. For some extra kick add bacon and sprinkle with red pepper flakes. I made these myself. I found that adding in very finely chopped jalapeno to be better than hot sauce. Also, topping it with some paprika or whatever other spice/herb is great. These sound great, I’ve got to try them. My wife and I are taking these and the walnut crust pie to the family Thanksgiving Feast. If they go over well I might sell the fam on Primal eating. If they go over poorly there will be more for me. I see no downside. Delicious!!! I just made these this evening, inspired by Easter tomorrow. I looove deviled eggs, but these just might be even better! I used lemon instead of lime juice just because that’s what I had available… added a teaspoon or a little less of honey to keep the avocado nice and bright green (since these won’t be eaten until tomorrow, I don’t want them getting brown! )…went maybe a little extra on the hot sauce… and OMG they are Goooooood 🙂 Thank you! Add some crispy cut up little pieces of bacon. So divine. I added garlic salt, fresh cilantro and a whole lot of Cholula hot sauce-absolute perfection! Thank u, thank u, topped it with paprika. Looks fancy! What a great recipe. Mine were *really* fat. I had just purchased a dozen turkey eggs and made these with them. Served them up alongside a salmon salad. Yum! I was going to do this cada’ thing, just before I got to the softened butter wasting there first, WOW! That IS why deviled eggs exist in the first place! I have been making these for a while, but I make mine by scooping out the yellow and separately mashing the avo with garlic, salt and pepper and adding only a little of the yellow – not a fan of too much of the yellow, mainly for the taste. Its my favourite snack or go to for breakfast.